We can carry out your Concrete Lintel Repairs for you with our professional services. Has your concrete lintels cracked, spalled or broken, well you have come to the right place as we can help. Concrete lintels can become damaged if not routinely maintained to stop water ingress. Water and moisture will cause the steel reinforcement to rust and eventually expand, resulting in damaging the lintels. 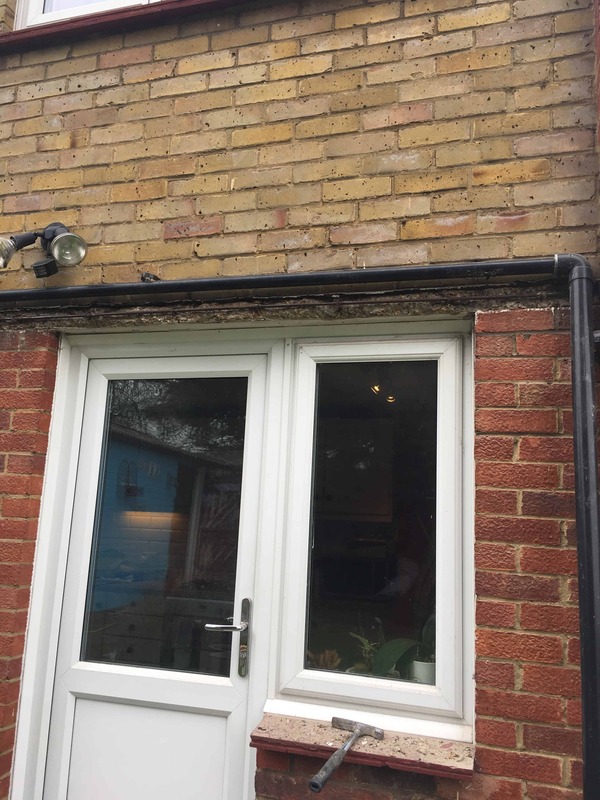 Pieces of concrete or stone will crack or even drop off making your lintels unsightly or even unsafe if they are above head height. We carry out concrete lintel repairs with fine detail, leaving your lintels looking as good as new. Our concrete lintel repairs get carried out in a sequence. We cut away, remove the loose and damaged concrete from the lintels. The steel reinforcing is either cleaned or replaced and primed to stop any future further rusting. Oiled shutters are put in place and then the concrete is recast to the original profile using specialist mortars or grout. It is important to add a drip on the underside if needed. Shutters are struck when the concrete has cured for long enough. We advise that concrete lintels are either painted with coloured masonry paint or clear paint to stop moisture penetration. It is usually cheaper and less disruptive to repair the concrete lintels instead of replacing them. Replacing concrete lintels could have its own problems structurally to a building. Good routine maintenance could save you costly repairs in the long run. This is one of our concrete lintel repairs projects carried out to property in East London. The home owner needed the lintel repaired so the sale of their house could go through. London Structural Repairs acted quickly to help them with this problem with our repair technique. Structural integrity was restored and the house was sold. If you have a concrete lintel that needs repaired or restored then please feel free to contact us to help with your project.